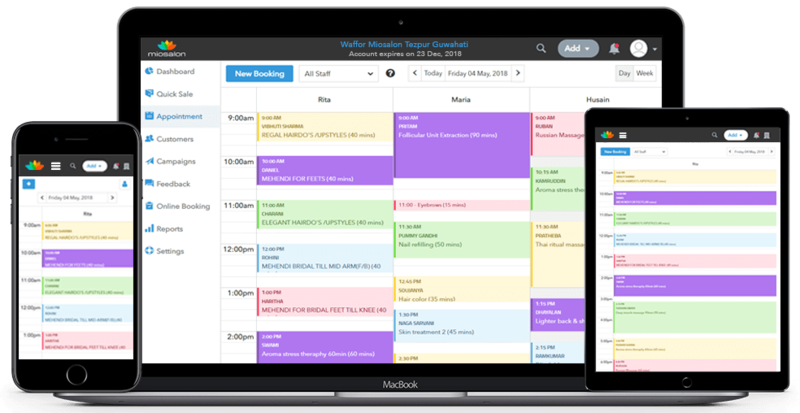 Simplify the appointment scheduling process of your business with a clean and simple tool. Custom-designed for your brand, the online booking feature is incorporated with a powerful calendar that allows customers to make and change appointments within the comfort of their own device. Allow customers to book appointments online through your own website, Facebook page or mobile application.This premium feature has your reception open 24/7. Send automated text messages and email reminders to your clients. The online booking system updates in real-time allowing your employees to view their upcoming schedule when they log-in. The powerful calendar incorporates colour coded scheduling making it easier for your staff to glance through various appointments. Make overbooking is a thing of the past. The system seamlessly avoids any chance of overbooking giving your staff the chance to stay on time always. Customise colours, fonts and buttons to match your brand. 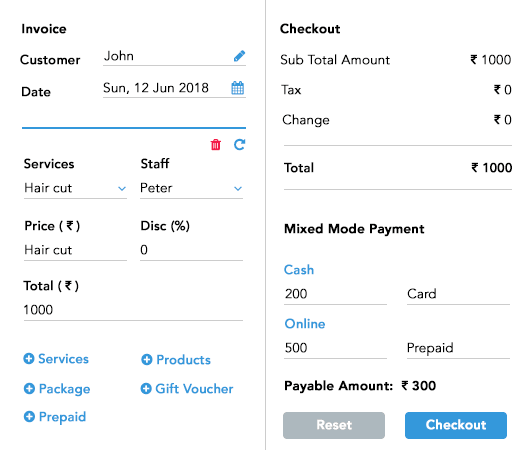 MioSalon has an integrated/built-in point-of-sale (POS) system that enables faster checkout for your salon and spa clients. You can now spend less time at checkout and more time with your clients. Check guests in, handle sales transactions, invoicing, receipts, retail product management and chair upgrades, all at the click of a button. Unchain yourself from your front desk and process payments from your desktop or mobile device. Faster checkouts redefine how payments work thereby offering anuber-convenient experience for your customers. Promote your business with customised or pre-designed gift cards. The integrated gift card sales tool can improve your bottom line. Complete transparency and predictability that enables easier accounting. Collect payments through various payment modes – cash, credit card, gift voucher, to make it simple for your customers. Go paperless! Send out automated invoices directly into your clients’ inbox or via text messages. Create customised packages and vouchers for your potential clients and boost sales. Hassle-free retail system that tracks sales, inventory and orders. Get notified instantly when a product is running out of stock. Promote your business efficiently and effectively with MioSalon. 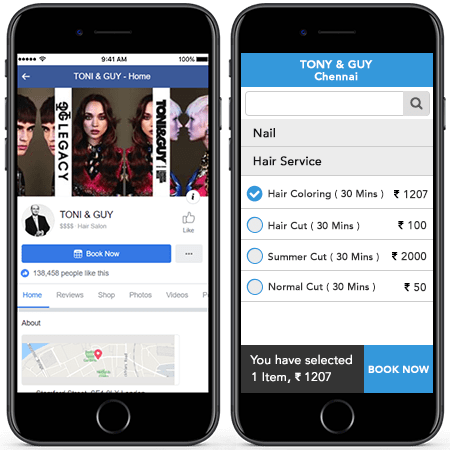 Integrate your salon and spa software to your website and social media pages to enable your clients to book, cancel or reschedule their appointment bookings anytime from anywhere. The online booking widget for your website makes it easy and convenient for your guests to schedule appointments. Attract new clients by adding an online booking widget to your Facebook page. Clients are likely to take inspiration from your posts and book straightaway. An integrated online payment gateway for bookings made on the website or through Facebook and Google. Get your name out there and let customers spread the love for your business with gift vouchers. Sell gift vouchers, memberships and coupons online. Your MioSalon account comes with a mini, customisable website that is absolutely free. Use this to display company information, facilitate online bookings, retail sales and payments. Create targeted promotions and engage with new clients at the right time with right offers. With simple and effective marketing strategies, put your salon business where customers are looking. Use booking preference and appointment history to filter clients based on service, age, gender, visit and value. 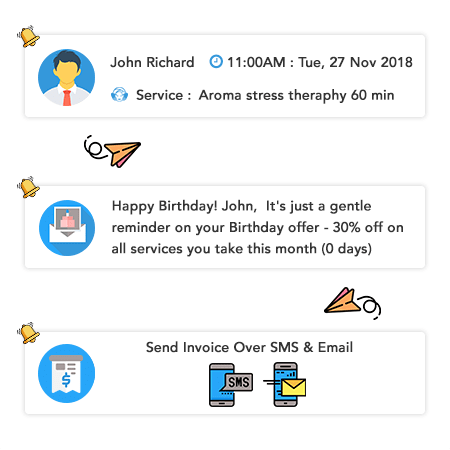 Boost client engagement with SMS and email campaigns. Create targeted messages for your active and inactive clients. Never a miss a chance to wish your clients on their birthday. Send out greetings with special offers and coupons. Send out reminders to clients who have not visited in a while and to those who are due for their next appointment. Create captivating emails to stay in touch with clients. Intimate them about new products and services they would be interested in. 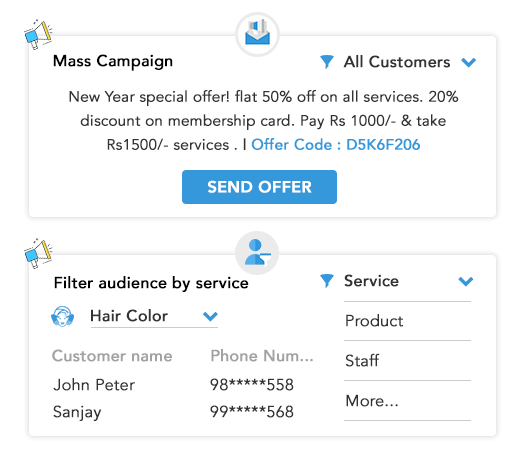 An in-built feature to send out bulk text messages and emails to your existing customers to announce new schemes, new launches and special offers. 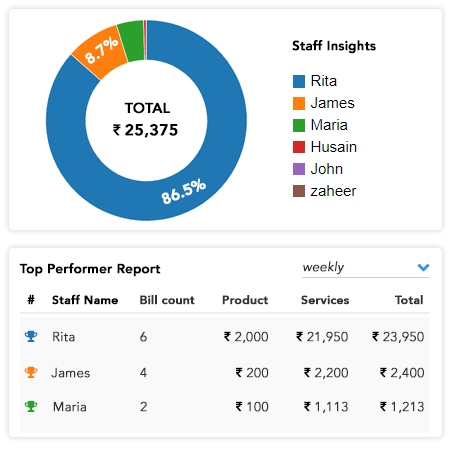 Check how your business is tracking overall with individual reports and detailed insights on revenue, tax, campaigns and staff and sales performance. Maintain your entire business and client history in the cloud. Get an instant overview of how your business is doing at the click of a button. Also, keep track of client retention, referrals, staff productivity and sales benchmarks. Keep the wheels of your business running smoothly by generating staff performance reports, total hours booked, product sales and client retention rate for each team member. Enhance client relationships by getting valuable insights on customer activity. Pull reports on rebooking, no-shows, cancelled appointments and customer retention. Segment clients on different parameters to get insights on active and inactive clients. Analyse the income, expense and net profit of your business at the end of each day. MioSalon’s profit and loss reporting and tax report helps you make informed business decisions. 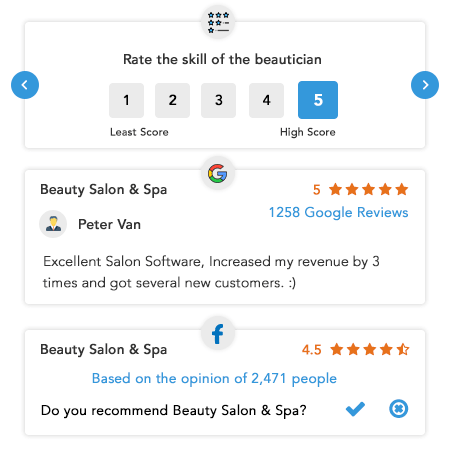 The online reputation manager on MioSalon gives you complete control on how people treat, react and rate your business online. Get the real-time opinion of your clients before they rant on social media. Monitor and control what’s being said about your business on Google, Facebook, TripAdvisor and Yelp. Gain more 5-star ratings through automated settings. Gets your salon to stand out from your competition online and improves your salon’s website ranking on Google. Get notifications and alerts each time a negative rating is given. Respond to negative and positive comments online from one clean and clear dashboard. Send out text messages to clients after the service to collect dynamic ratings by SMS. Get clients to review your salon during checkout using salon software on your tablet. Setup feedback questions on staff performance, appointment timeliness, quality of services and more. Add to your salon bottom line and guarantee future income by creating membership packages and rewarding loyal clients. This will ensure you get more business opportunities from them. For consistent repeat business and steady revenue flow, create membership programs to meet your client’s needs. Keep them coming back running special and exclusive offers only for members. Sell gift cards and vouchers in-store and online. Give your clients the opportunity to pick-up the perfect last-minute gift for their friends, and near and dear ones. The CRM module displays the collected and pending payments against each and every customer. Bring more transparency in your business by managing finances within few clicks. 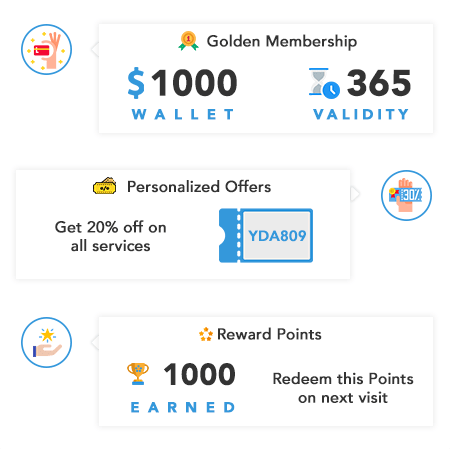 Turn your clients into loyal customers by implementing a loyalty point program. Reward clients for referrals, pre-booked appointments and retail purchases. While your customers will feel rewarded, your business will grow. Bundle multiple services and sell as a package to loyal customers. Entice customers to make a one-time payment. Personalise offers and packages for clients based on their past history. Ensure that your team and your business are on the same page by managing all the aspects vital to your business from one location. Get notified when you’re low on product and stock. 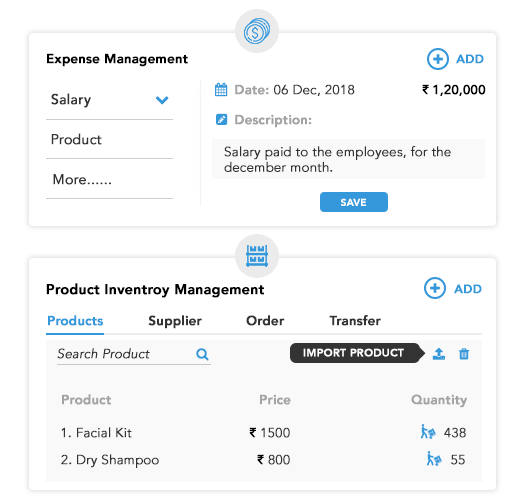 Manage product usage, expiry and purchase orders with simplified inventory management tools. Get all the details about your employees and their performance with a single click. Analyse their productivity and give them incentives. Get instant access to client demographics, past service history, stylist preferences and more. Keep track of past purchases and appointment history to personalise every client’s experience. Keep track of client expenditure to ensure swift processing of payments. Get instant notifications about pending payments and minimise loss in your business. Seamlessly send notifications and appointment reminders to employees and clients respectively. This will help your business improve staff productivity. Send out an email to your employees at the start of each day. Include the daily appointment schedule and changes, if any. MioSalon notifications and reminders will ensure they never miss an appointment. Reduce your salon no-show rate by sending automated text and email confirmations. You can also opt for two-way SMS confirmations. Never miss a client’s birthday or anniversary. Get notified and send them exclusive offers on their special day. Opt for a paperless approach, and send invoices to clients via email and SMS. Send rebooking reminders to get clients to walk back through the doors of your business. 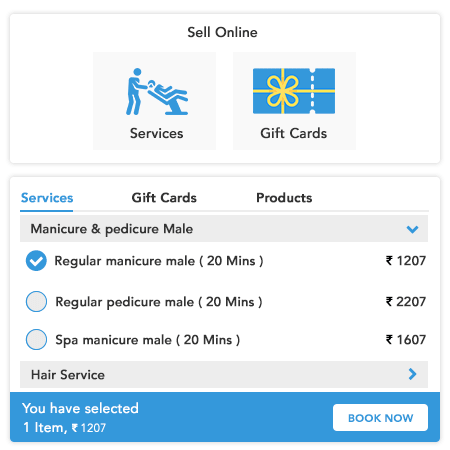 Manage one or more salon locations easily within few clicks. Do all this and more with real-time access to data. Manage your salon or spa anytime, anywhere by using it on your tablet, PC, laptop or mobile device. Easily track inventory across multiple locations and ensure the availability of products. Get consolidated sales and revenue of each outlet in one central location. Compare the performance of your brand amongst all your outlets. Use the details to set business goals and to facilitate growth. 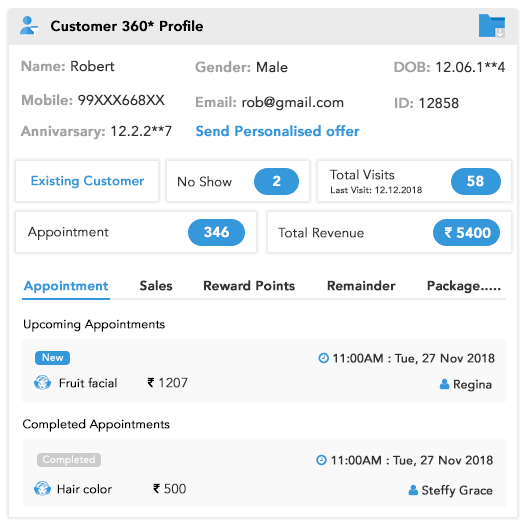 Manage client memberships centrally and share customer data across all centres seamlessly so that clients can avail the requested services with ease. Synchronise inter-branch products and stock transfers. Boost the profitability of your business by selling gift vouchers in-store and online. Give clients the ease to purchase gift cards and retail products online. Bring in revenue even while you sleep. Put your gift cards where clients spend most of their time – Amazon, Flipkart, Groupon etc. Give your business a face and add value by enabling retail sales on your website. Don’t wait until the end of the year to see how your business is doing. 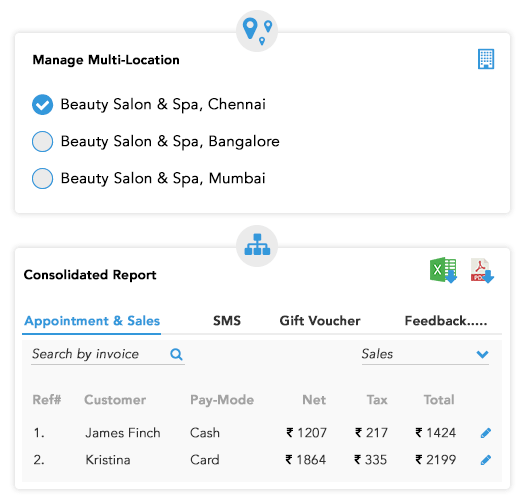 MioSalon’s dashboard shows how your business is tracking overall. Download individual reports to get detailed insights on important metrics like staff and employee performance. The salon software actively demonstrates sale volumes to you so that you can analyse stronger and weaker metrics and define your marketing strategy accordingly. Set retail, service and performance goals for your employees. Check recent staff activity and decide where your staff is succeeding and where they can improve. Say goodbye to multiple reports and spread sheets. Say hello to a single report to review business goals and progress. You can be completely rest assured that your data will be protected against any kind of misuse and malicious activity. Your data will remain safe no matter what your location faces. Every employee will be given an individual login and secure password to access the software. All communications with our servers are encrypted with SSL (Secure Sockets Layer)/TLS (Transport Layer Security). OTP verification for redemption of gift vouchers, prepaid payments and appointment booking. 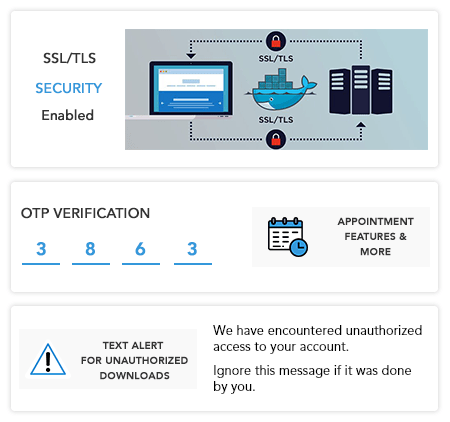 Get notifications and text alerts for unauthorized use or download.